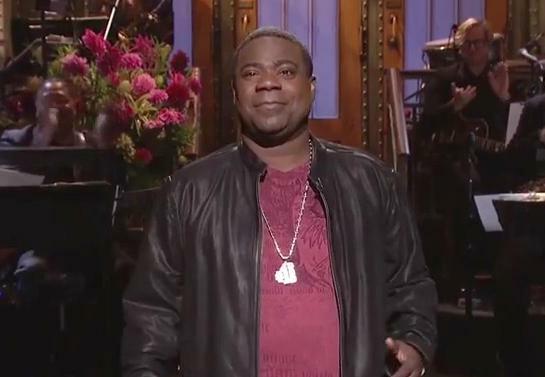 If by chance you missed it, last night (10-17-15) – for the first time since a multi-vehicle crash left him in a coma – funny man Tracy Morgan returned to “Saturday Night Live” to host the long-running show. “I’m back. It feels so good to be here. You may have seen on the news I was in a terrible car accident a year ago. It was awful. But it also showed me how much love and support I have in this world,” Morgan said during the show. Morgan’s return to “SNL” also lifted ratings for the latenight show, which, according to Variety.com, was up week-to-week and matched its top overnight demo score since last winter. Compared to its October 2014 average, “SNL” was up 8% in overnight household rating (from 3.9) and even in adults 18-49. The show hasn’t done a higher 18-49 overnight rating since the Jan. 31 show hosted by J.K. Simmons.